Ashwagandha is an ancient medicinal herb that has many health benefits including improving stress, increasing cognition, and enhancing muscle recovery. Ashwagandha is an adaptogenic herb (natural substances that help the body to adapt to stress and exert a normalizing effect upon bodily processes). It is derived from the root of a plant related to tomatoes and potatoes. 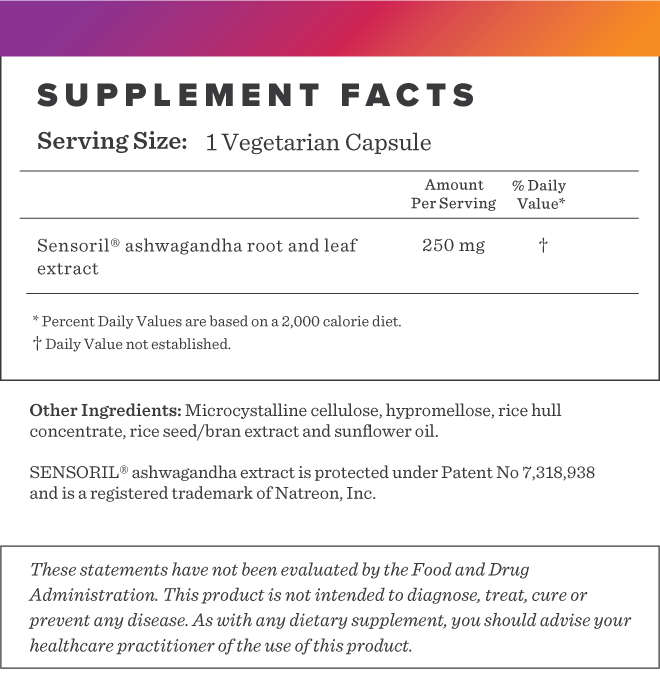 Our Sensoril® Ashwagandha provides the highest level of bioactives on the market. Sensoril® has been shown to help boost energy, improve sleep, mood, overall vitality and has been studied in more than ten human clinical trials. Ashwagandha may help support a healthy immune system by helping lower the stress hormone cortisol. 1. Chandrasekhar K, Kapoor J, Anishetty S. A prospective, randomized double-blind, placebo-controlled study of safety and efficacy of a high-concentration full-spectrum extract of ashwagandha root in reducing stress and anxiety in adults. Indian J Psychol Med. 2012;34(3):255-62. 2. Chengappa KN, Bowie CR, Schlicht PJ, Fleet D, Brar JS, Jindal R. Randomized placebo-controlled adjunctive study of an extract of withania somnifera for cognitive dysfunction in bipolar disorder. J Clin Psychiatry. 2013;74(11):1076-83. 3. Wankhede S, Langade D, Joshi K, Sinha SR, Bhattacharyya S. Examining the effect of Withania somnifera supplementation on muscle strength and recovery: a randomized controlled trial. J Int Soc Sports Nutr. 2015;12:43. 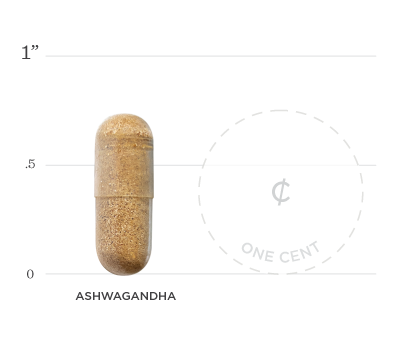 Below we've broken down the main functions of our Ashwagandha and the benefits it can provide. Cortisol is released and can build up when the body is put under stressful conditions. This may lead to weight gain and elevated blood glucose levels. One study showed supplementation with ashwagandha reduced cortisol levels by up to 30% (1) suggesting it can play a role in weight loss and blood sugar balance. A randomized, placebo-controlled study showed subjects taking Ashwagandha achieved significantly greater improvement on reaction time tests compared to the placebo, indicating it may improve working memory. Research shows significant increases in muscle mass, strength and enhanced muscle recovery, suggesting it may be useful in conjunction with a resistance training program.